Fifteen-year-old Maya and Arjun find their placid world suddenly overturned when their favourite history teacher is found brutally murdered. The death shocks students at the school and baffles the police. Meanwhile, a mysterious stranger’s reappearance after 5,000 years strikes fear into the hearts of powerful members of a secret society, called the Sangha. Who is he and what is he after? 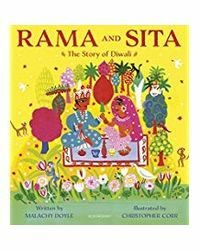 In a race against time, Arjun and Maya must join forces with the Sangha to face an ageless and terrible enemy from the depths of Pataala. But can they overcome an ancient power that is out to wreak vengeance? novel, Christopher pursued a career in the corporate world after graduating from St Stephens College, Delhi and IIM, Calcutta. Christopher is also a musician and lives his passion for music through his band called Mid Life Crisis. He lives in Gurugram with his family. About the Book : Fifteen-year-old Maya and Arjun find their placid world suddenly overturned when their favourite history teacher is found brutally murdered. The death shocks students at the school and baffles the police. Meanwhile, a mysterious stranger’s reappearance after 5,000 years strikes fear into the hearts of powerful members of a secret society, called the Sangha. Who is he and what is he after? What secrets are Arjun’s uncle and mother hiding and why do they inexplicably decide to leave town for an unknown destination?What is the Pataala Prophecy, that must be decoded even as the world hurtles towards a fate that may doom humanity? In a race against time, Arjun and Maya must join forces with the Sangha to face an ageless and terrible enemy from the depths of Pataala. But can they overcome an ancient power that is out to wreak vengeance? 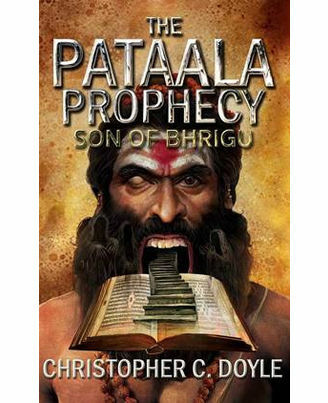 About the Author : CHRISTOPHER C. DOYLE is the author of the hugely popular The Mahabharata Quest series. Along the way to publishing his debutnovel, Christopher pursued a career in the corporate world after graduating from St Stephens College, Delhi and IIM, Calcutta. Christopher is also a musician and lives his passion for music through his band called Mid Life Crisis. He lives in Gurugram with his family.